Cover an accent pillow by using your hot glue gun and felt circles to create this colorful decorative pillow. 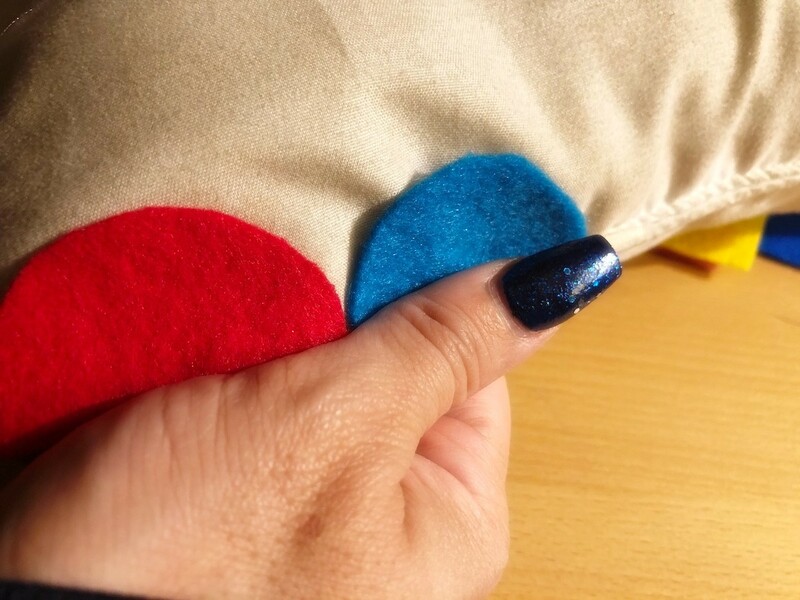 This is a guide about how to make a felt dragon scale pillow. 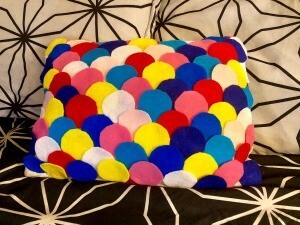 This is a fun project using coloured felt to cover a pillow. I used a coverless white accent pillow that I'd had for a decade that had started looking dull. 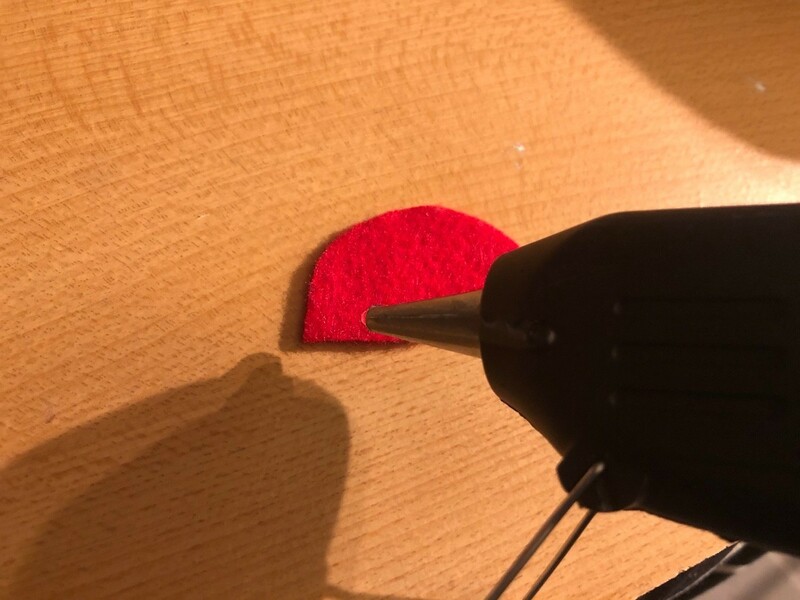 You don't need any sewing skills, you just cut circles and hot glue them on. 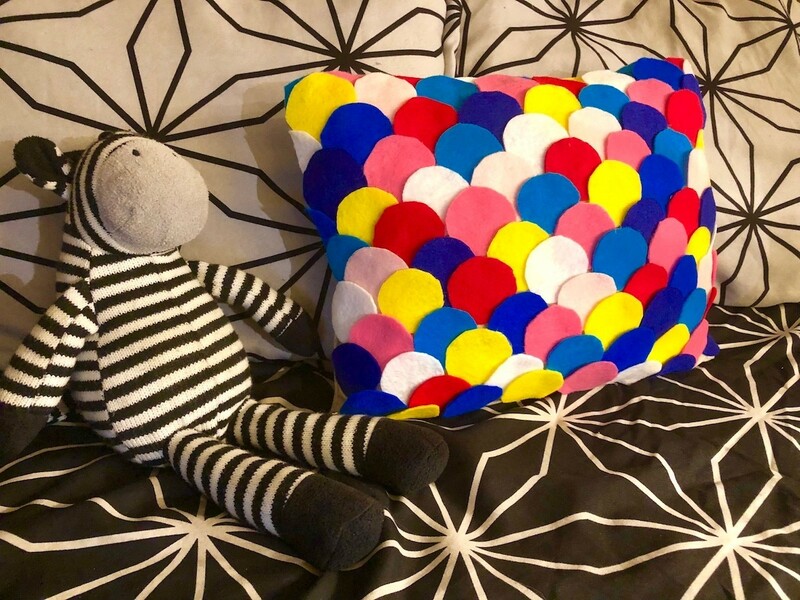 I love this pop of colour on my black and white bed set. It gives me the same joy I get when I start filling in a colouring book! 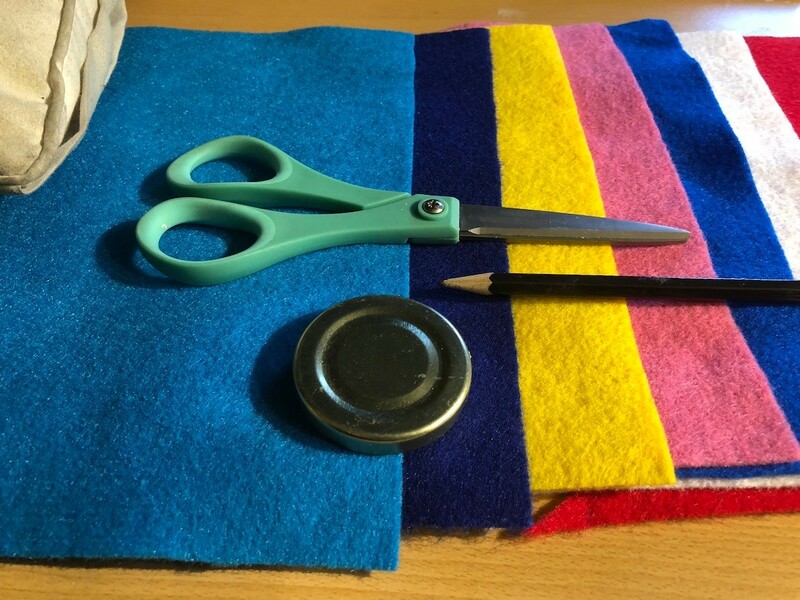 Place your round item over a piece of felt and trace with your pencil. Cut out the circle. 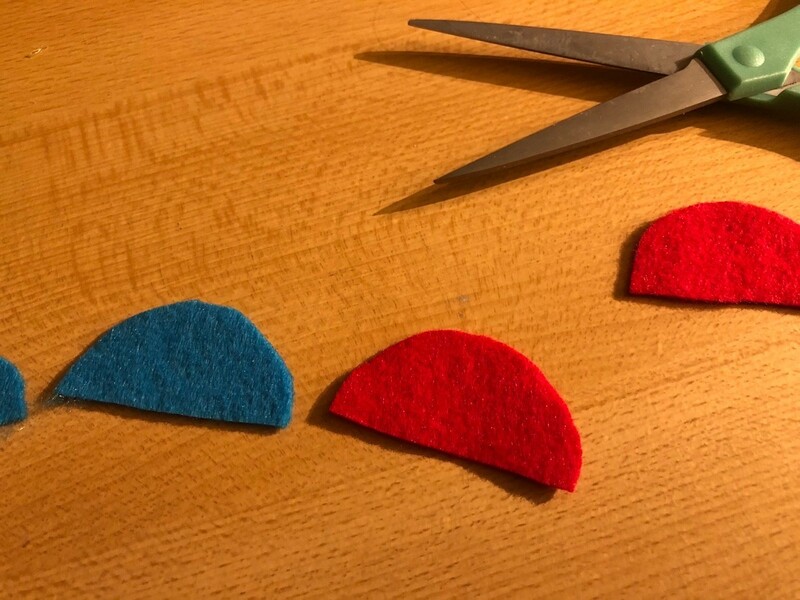 You can layer pieces of felt to cut out more than one at a time. 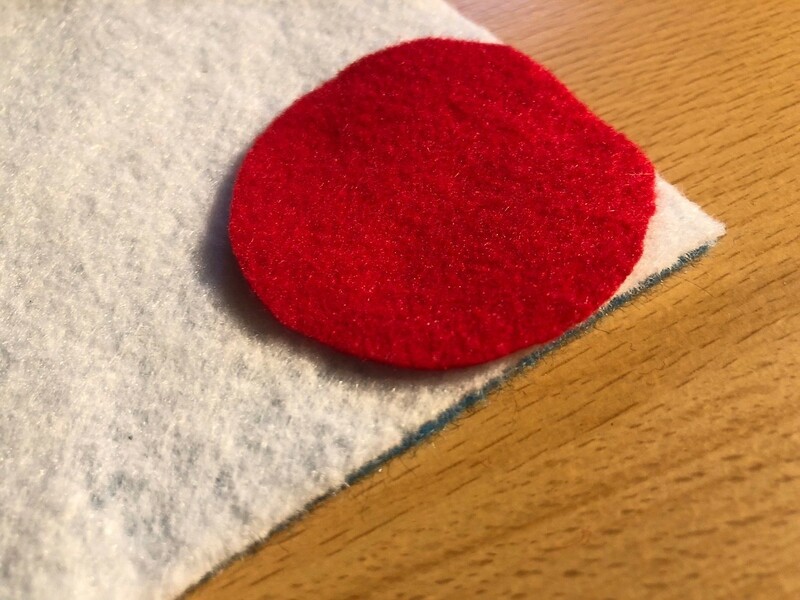 You can also use a cut felt circle to use as a guide to cut out others. The felt sticks together nicely if you hold it firmly. 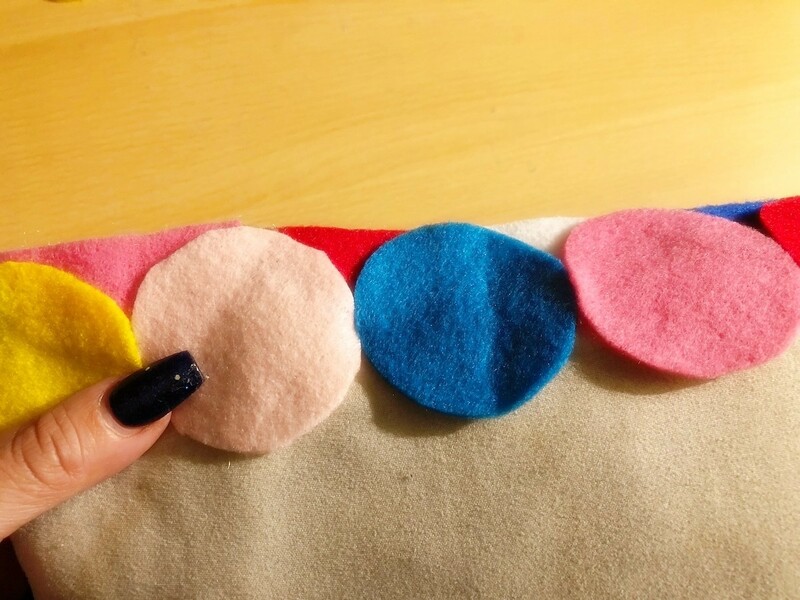 For the first edge of your pillow, cut several felt circles in half. 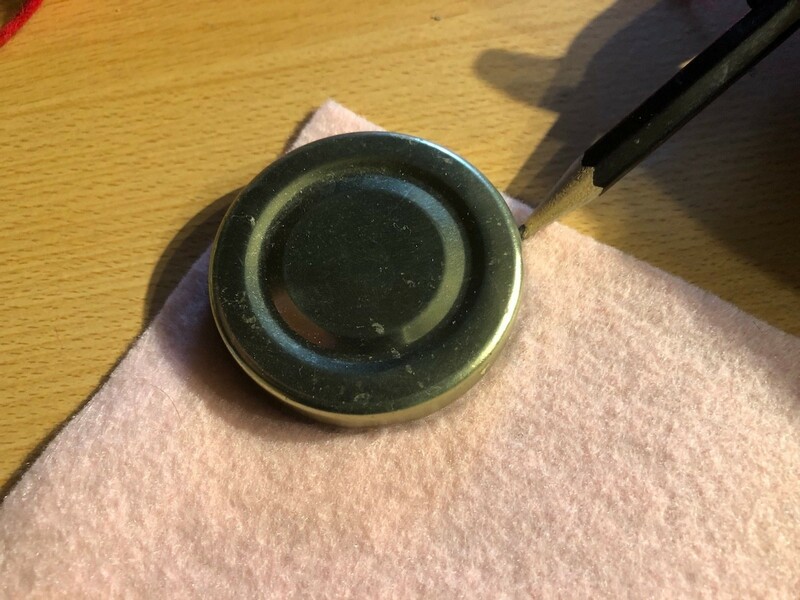 Dab hot glue on the edges. 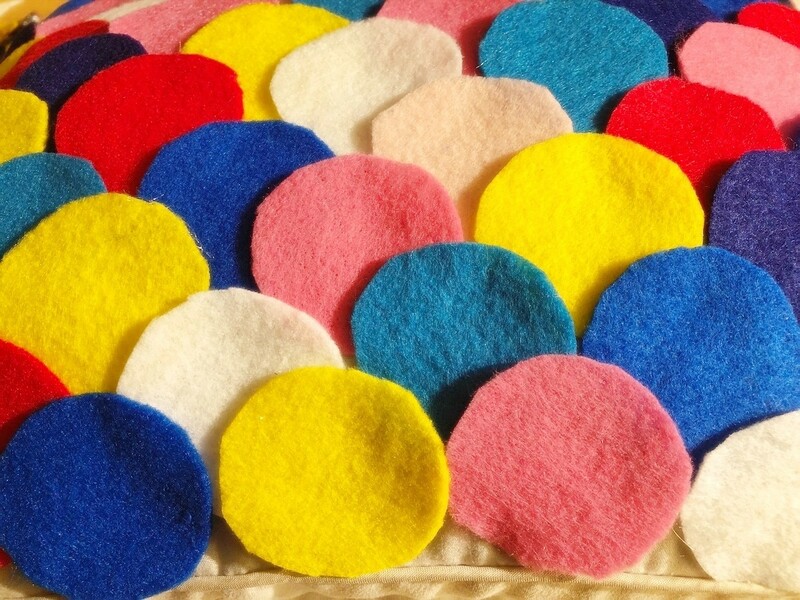 Press them onto an edge of the pillow. 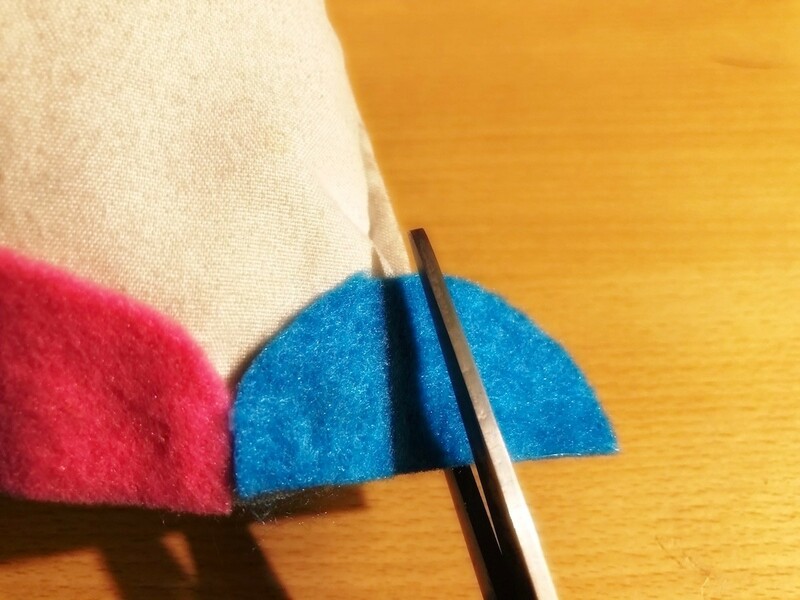 Work your way all the way across, then trim the perpendicular end. 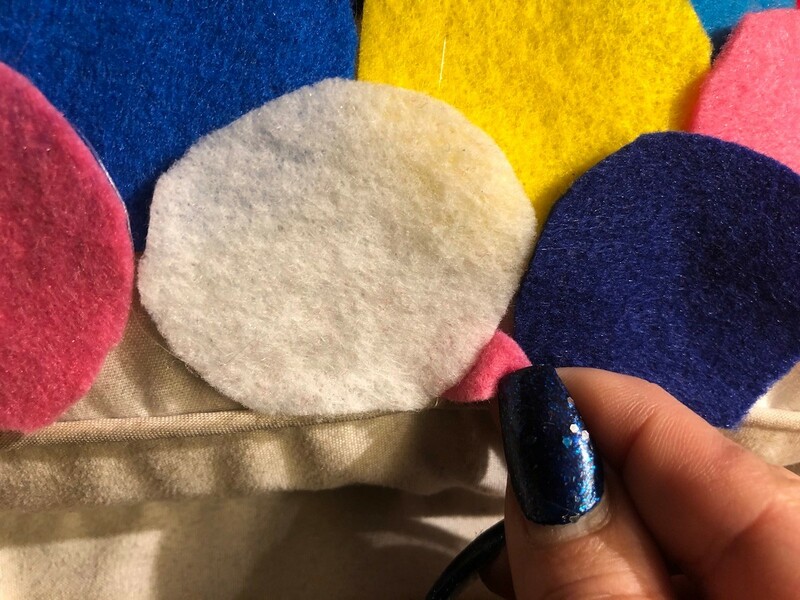 Start hot gluing full felt circles on, overlapping the first row on the edge. Keep making your way down, staggering the circles. 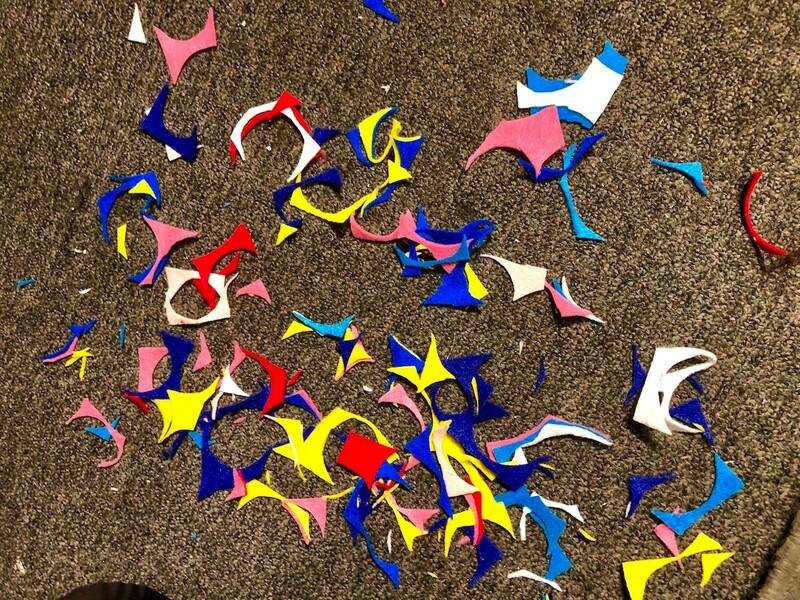 See that big pile of scraps from cutting the circles out? You need these! 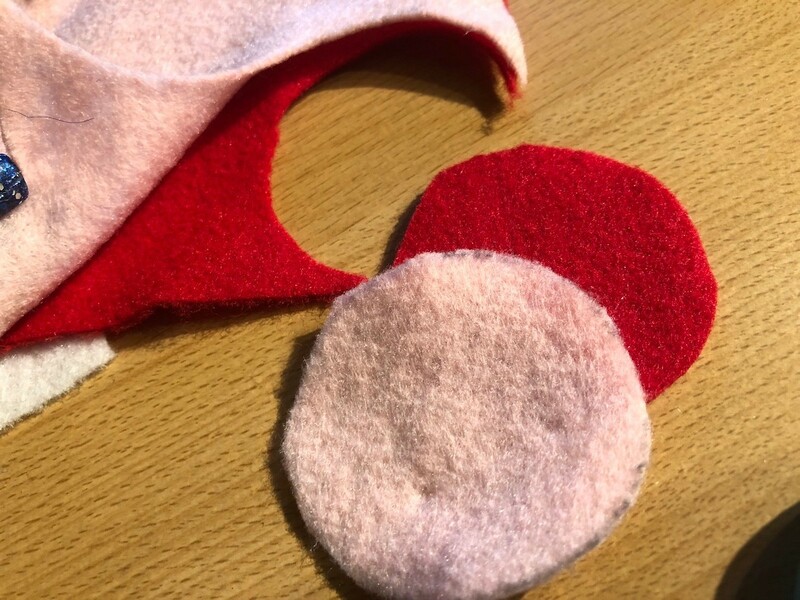 Fill any gaps on the edges with scraps, gluing and tucking under the other circles. Enjoy that pop of colour every time you enter the room!